SUP stands for stand up paddle boarding. Stand up paddle boarding provides numerous health benefits. First, here's some background info. Stand up paddle boarding is the #1 fastest growing sport in the world. 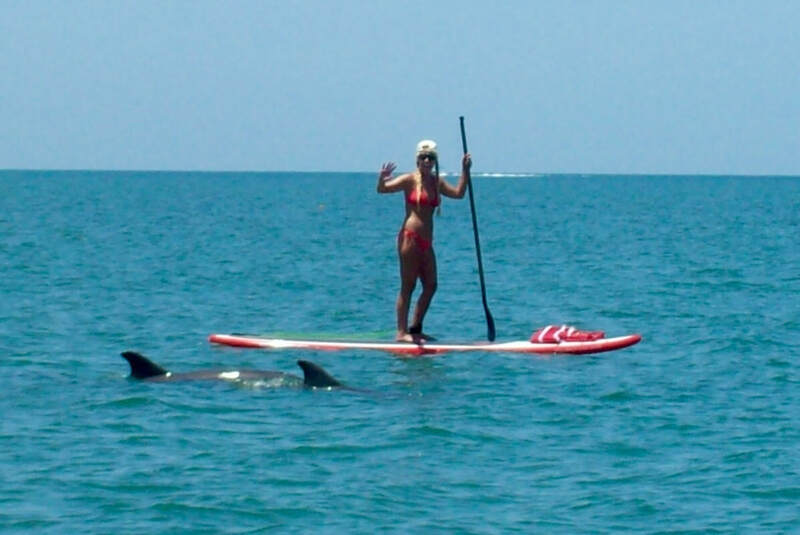 You can paddle board with dolphins, manatees, and sea turtles, as well as meditate right alongside them. Paddle boarding appeals to many people because it is an invigorating, enlightening, and relaxing experience. Paddle boarding is an amazing core workout, with a spectacular scenic view. You can paddle board in a sitting position like a kayak, kneeling, or standing. Florida was the first state in the country to implement Special Olympics Stand Up Paddle Boarding. SOSUP is now in many states. I am proud to have been a part of this sport for all ability athletes, since the beginning.